Big Head Face Cutouts | Create Your Bighead Today! Looking for a cutout of a face on a stick? Well you are searching for a BigHead! Our custom BigHead cutouts are perfect for your next event. 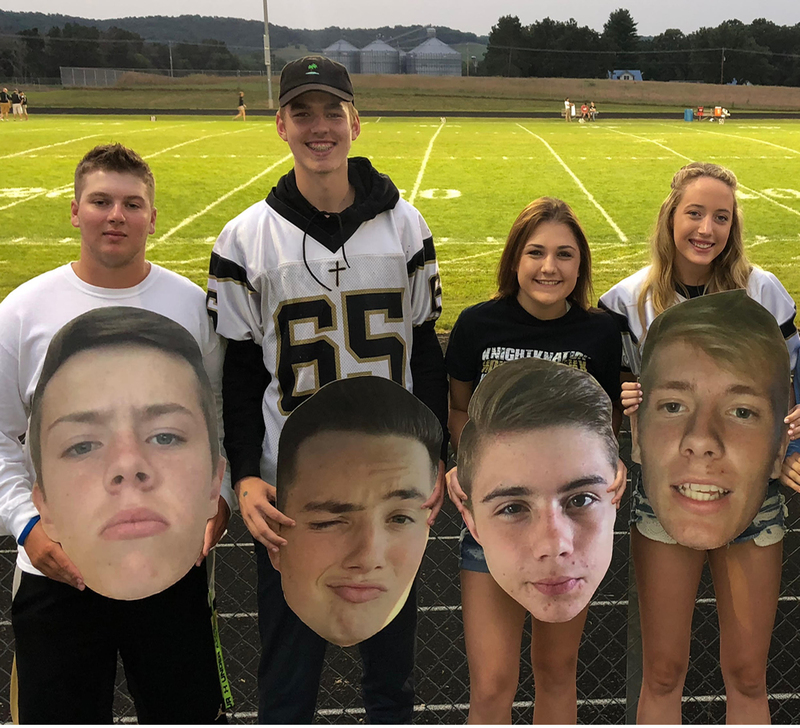 Whether it's cardboard head cutouts for the basketball team, big head signs for the football team, or a custom big head of the graduate, we have the custom printed face cutouts for you. Cardboard Cutout Standees makes it easy for you to order for the big game or your next event. We create custom big heads utilizing the latest digital printing and cutting technology. 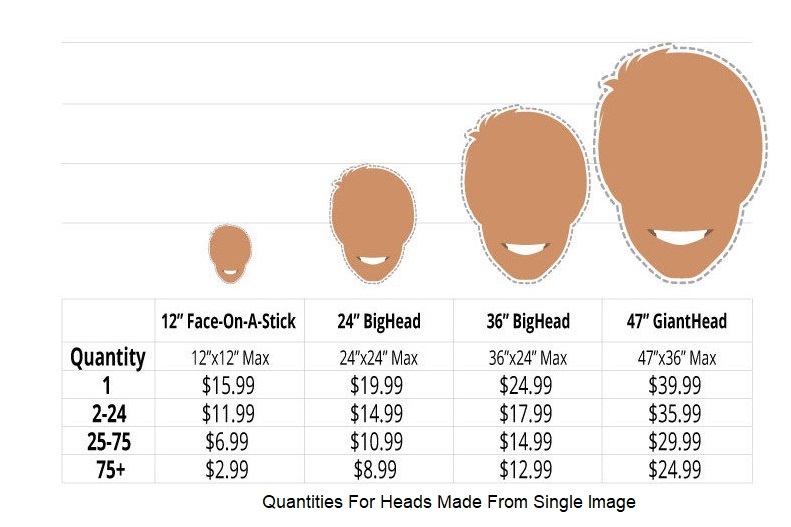 Big head cutouts are perfect for birthday parties, anniversaries, graduations, corporate promotions and advertising. 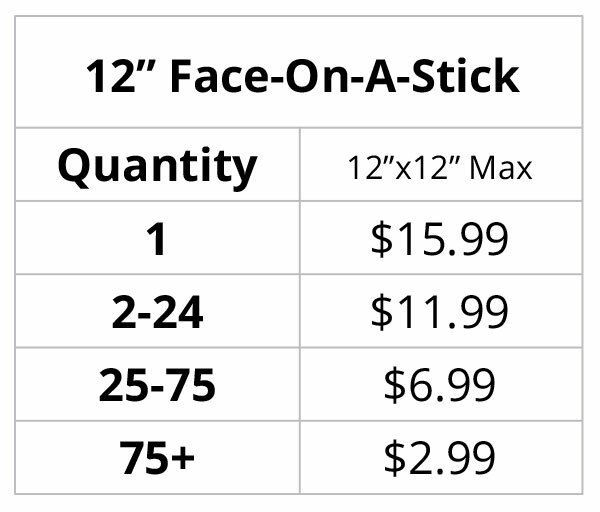 Want to make a head on a stick for your event? Upload a picture of your athlete, or another funny face photo. 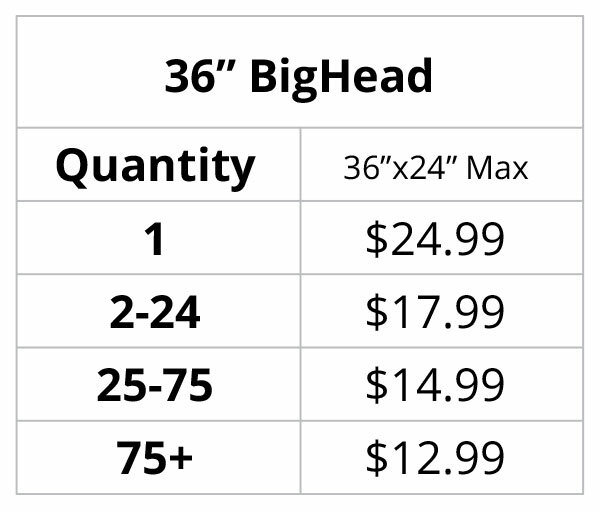 Personalize your custom bighead by selecting a cardboard big head, a foamboard big head, or a weatherproof corrugated plastic big head. 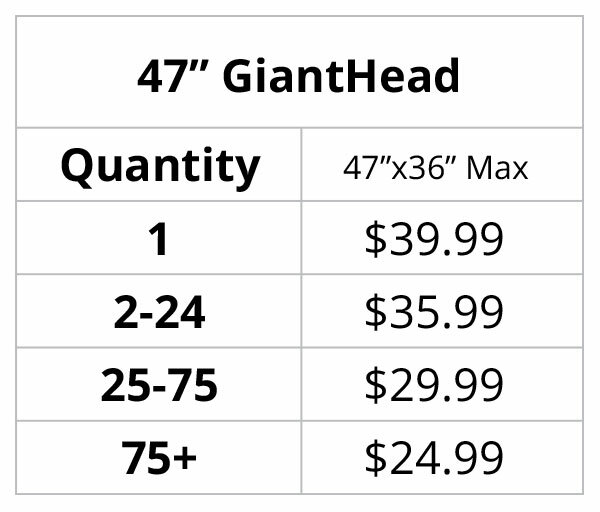 Our sizes and cutout prices range from a big head-on-a-stick to an over-the-top giant head. 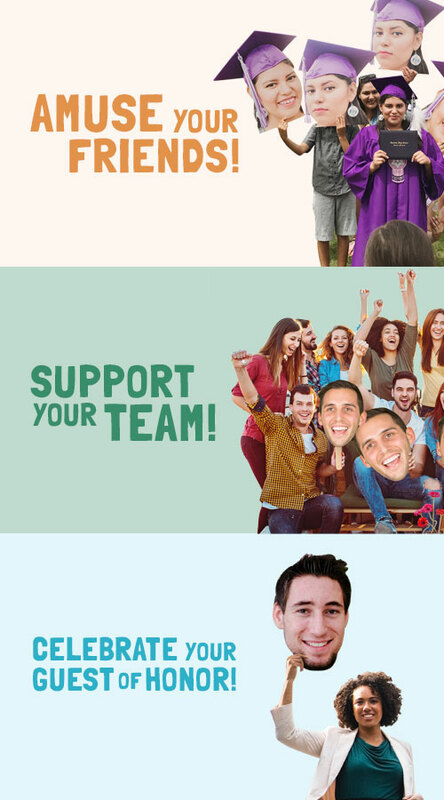 The CardboardCutoutStandees.com team of professionals will create a personalized giant face cutout and have it shipped out the next business day. 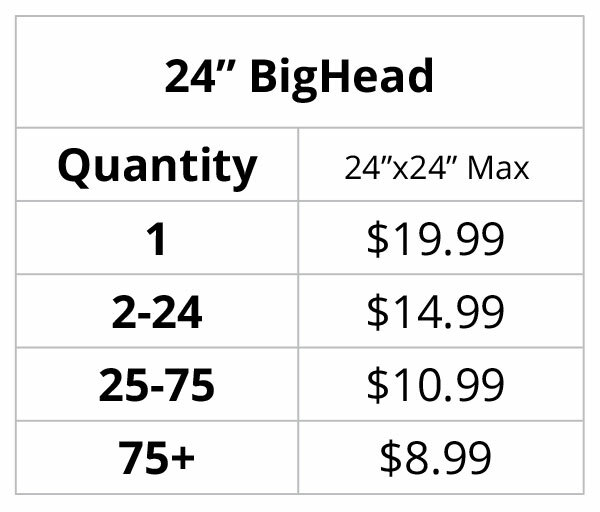 We guarantee every custom big head we ship. If you are not happy with your personalized big head cutout we will send your money back. Don’t settle for a Fathead or Build-A-Head. Our custom BigHead cutouts are the best big heads on the planet!